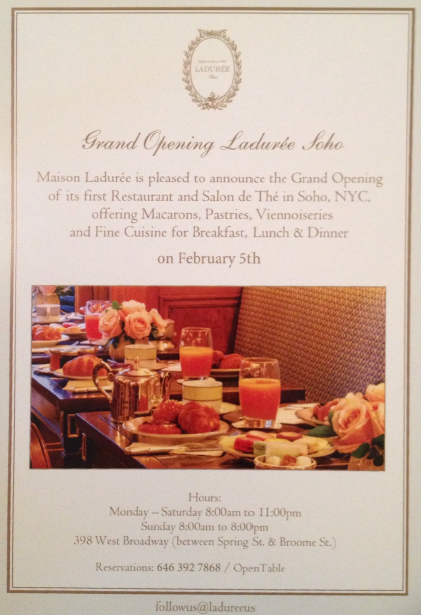 Ladurée Soho (398 W Broadway) had its soft opening this weekend and will be open to the public on Wednesday, February 5, 2014. 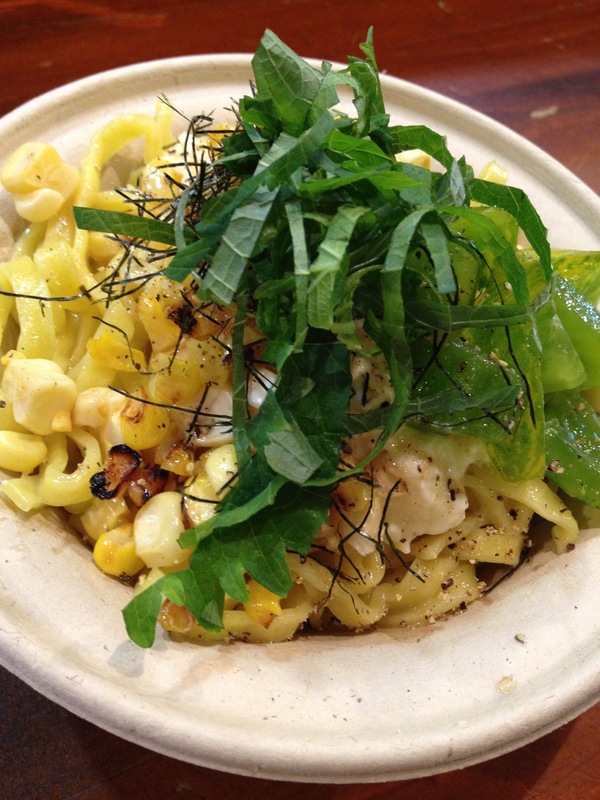 It will feature a full-service restaurant and an outdoor patio. 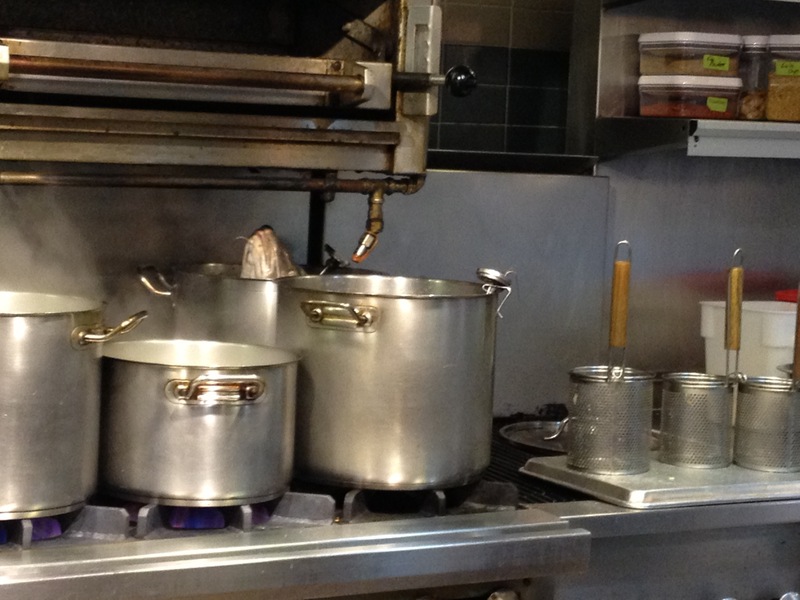 Though currently unavailable, reservations can be made at OpenTable here. This new flagship location has started making pastries and viennoiseries previously impossible to find anywhere in North America. 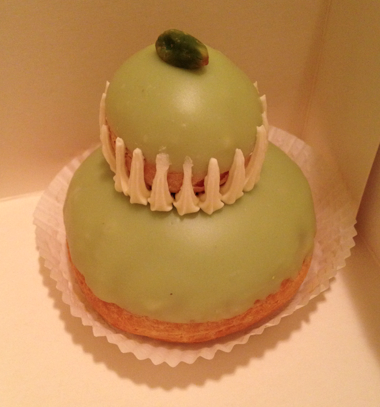 Scroll down to see the Saint-Honoré rose and the pistachio religieuse that I bought yesterday. Pinch me. Am I dreaming? Nope. 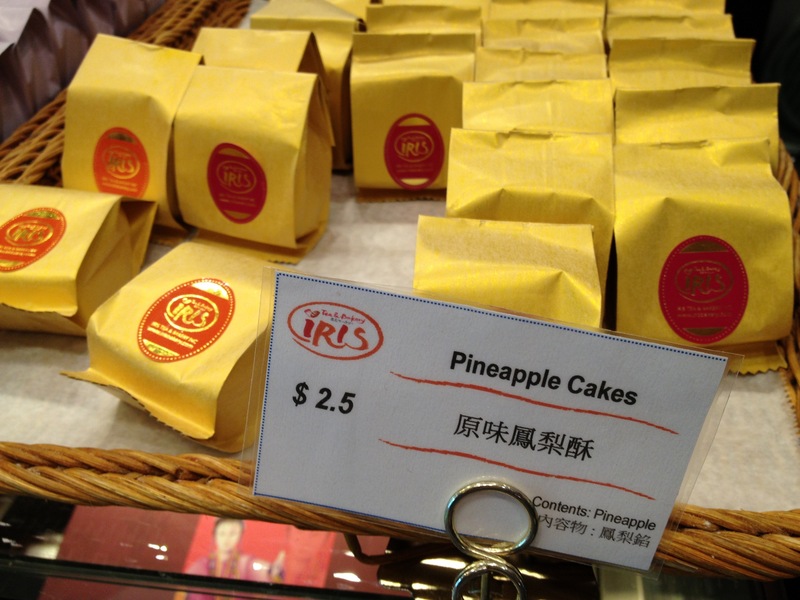 I have finally found a place that makes Taiwanese pineapple cake (fènglísū 鳳梨酥) that is as good as Chia Te or SunnyHills — and it’s right here in New York City! 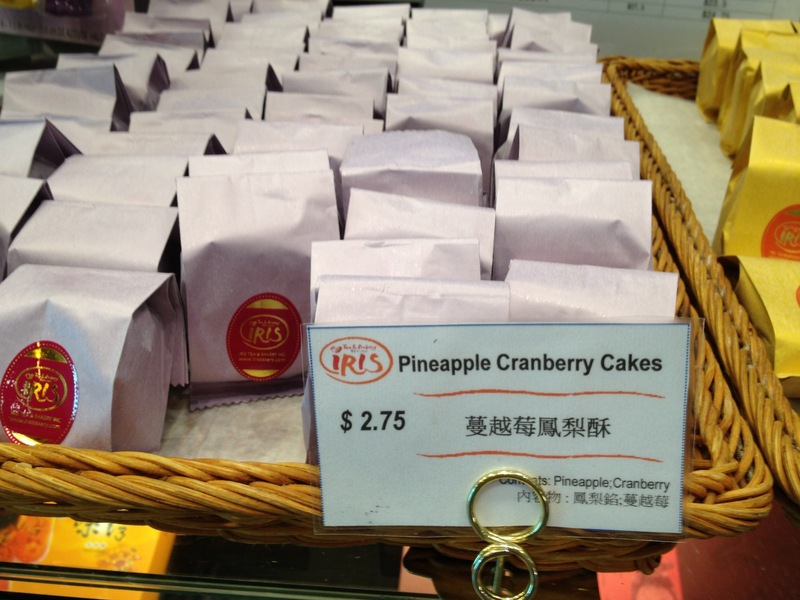 IRIS Bakery in Flushing specializes in Taiwanese pastries and breads, and their pineapple cakes are to die for. They currently have two varieties, one is plain pineapple and the other is pineapple with cranberry. 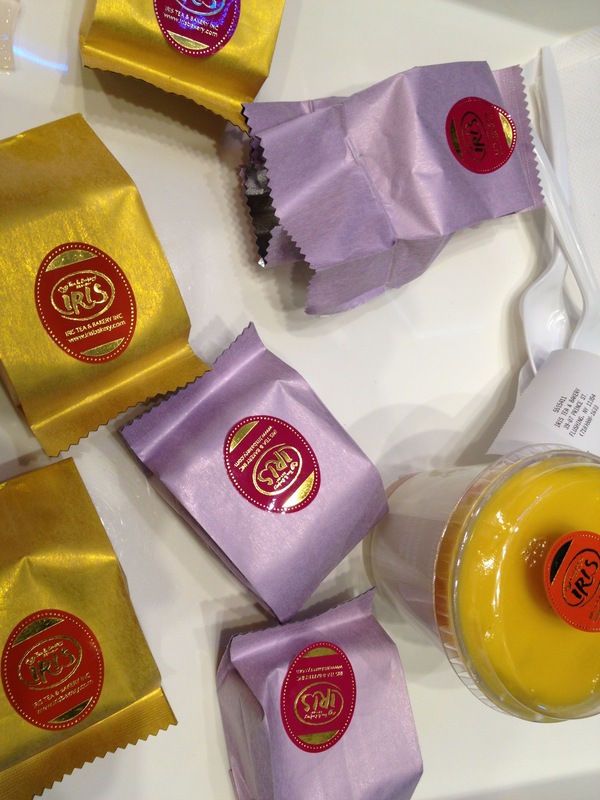 They also serve delicious panna cotta and grapefruit gelatin. 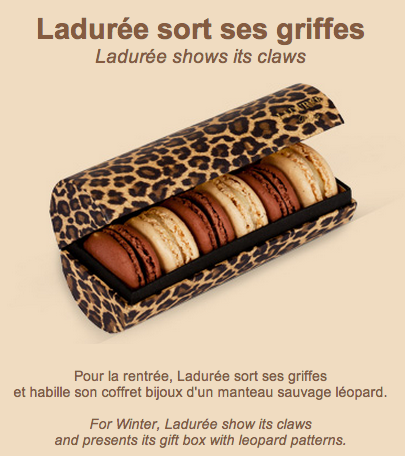 Ladurée’s new fall 2013 macaron flavors! I’m glad the pink peppercorn macaron is not pink. 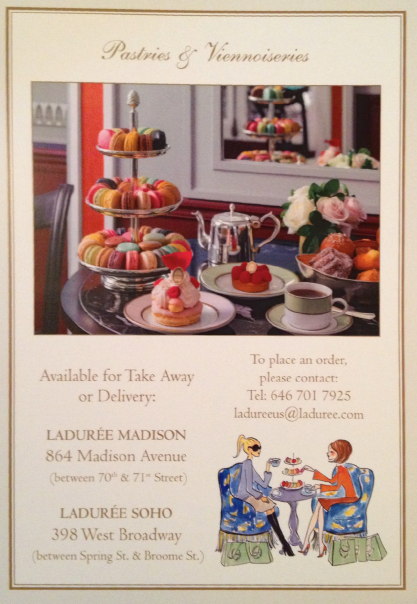 There are quite a few places in New York City that already make pink peppercorn macarons (and they’re always pink)… but I have a feeling Ladurée’s will be transcendental. 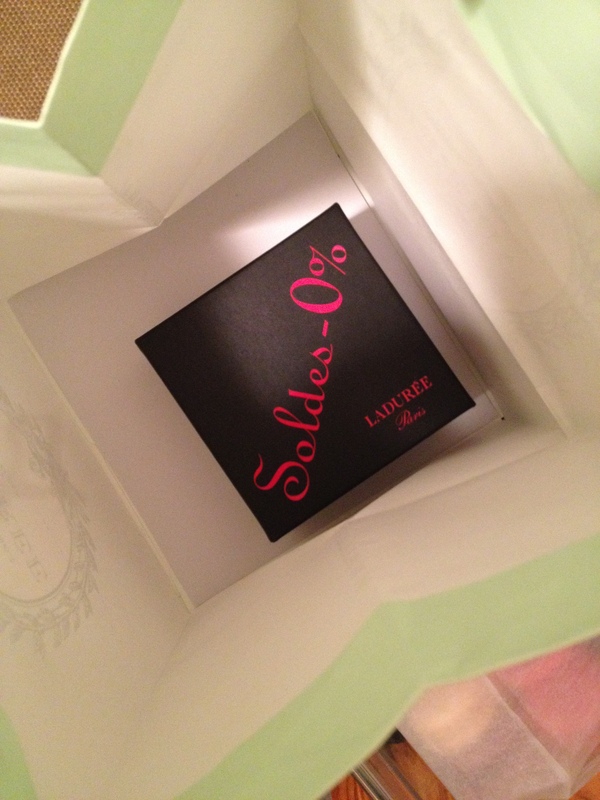 There’s a new box, too! 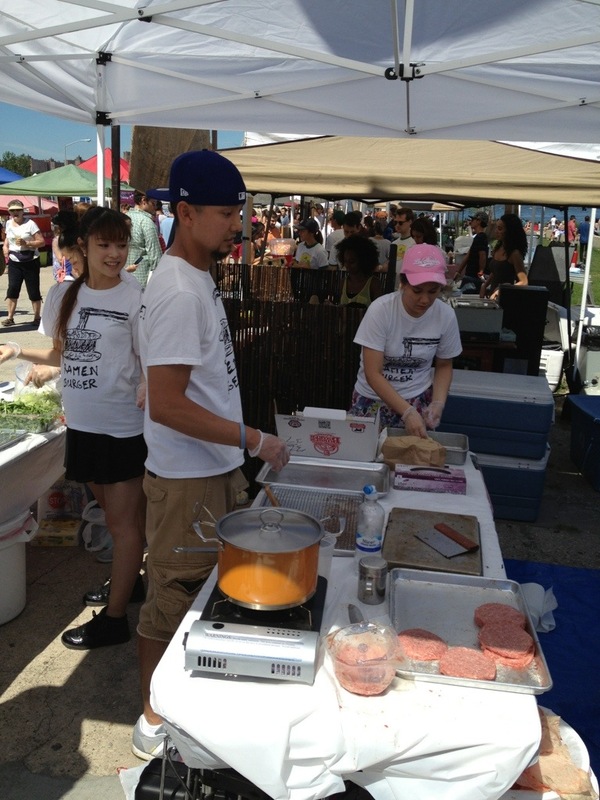 I finally got to try Keizo Shimamoto’s ramen burger on Saturday at Smorgasburg! My friends and I got there at about 10:00AM and then got the burger at about 11:30AM. There were about 60 people ahead of us in line. While we were waiting, a group of Japanese reporters interviewed Lisa. She jokingly said she drove all the way from Utah just to try the ramen burger. I hope I can find her interview online. You can only buy one ramen burger per person and each person must be present. 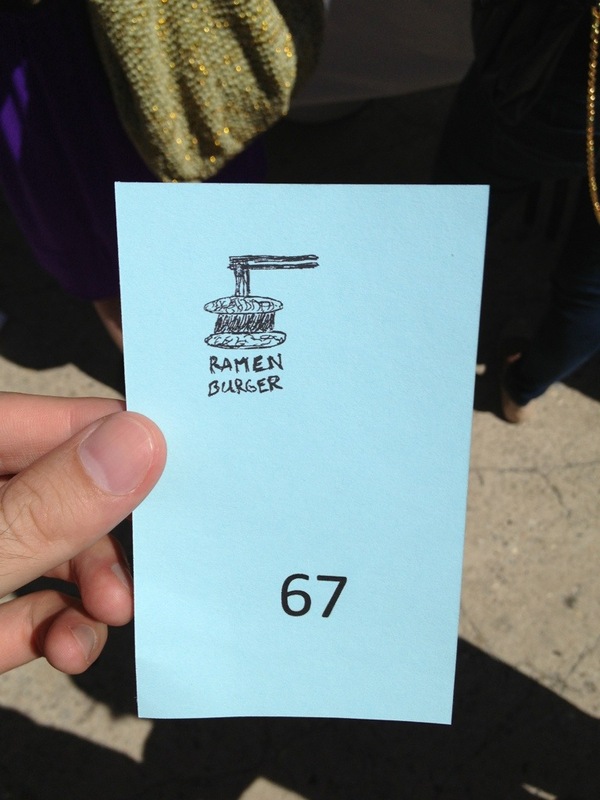 I was number 67. 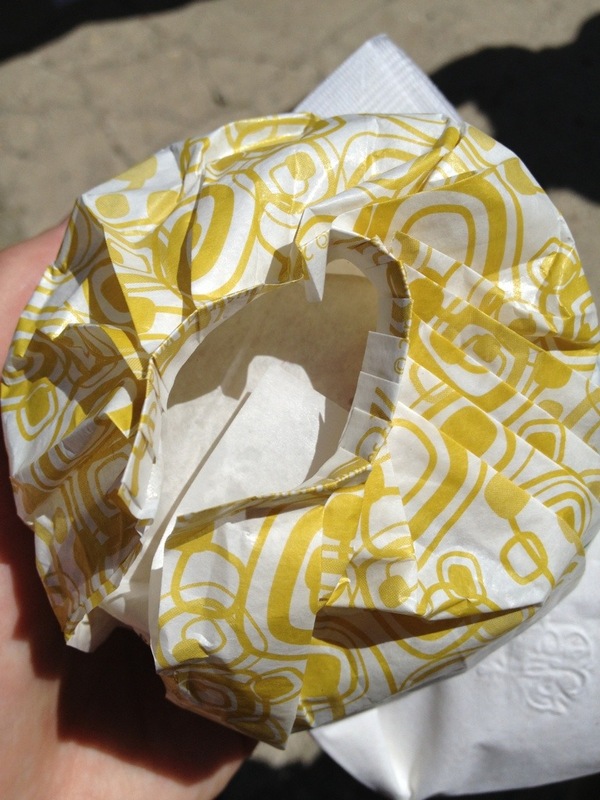 The hamburger wrappers are really unique. They have pleats and kind of reminded me of a shower cap from a hotel. 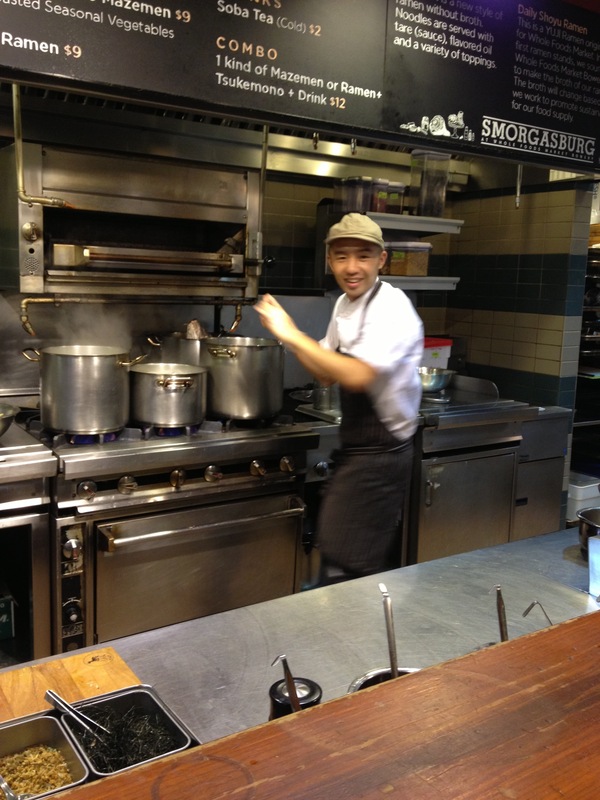 Here is chef Keizo Shimamoto (in the backwards cap). 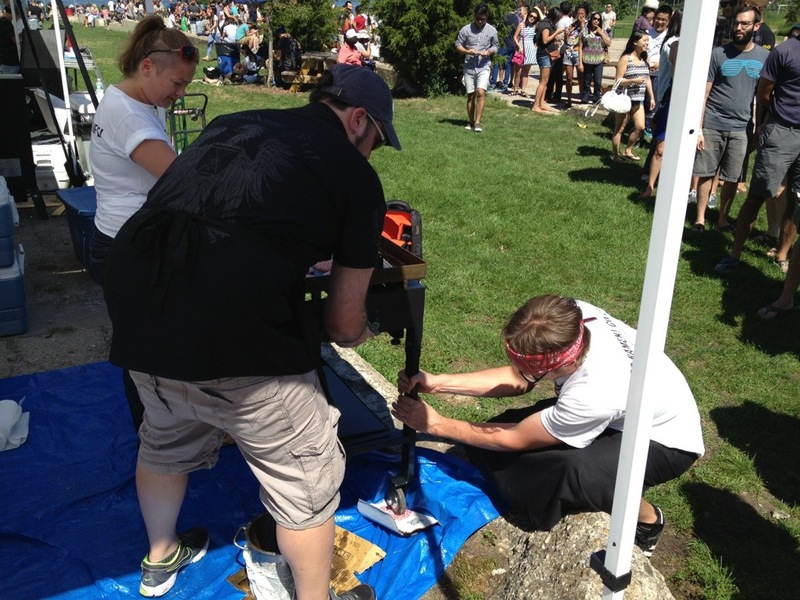 The grill wasn’t level so here are some of the staff members trying to fix it. 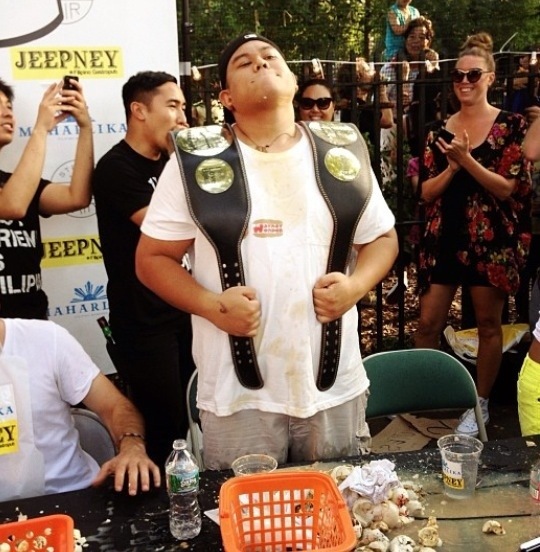 I’m pretty sure they reserve the fatty drippings from the hamburgers to make the brown sauce that goes on top of the burger (along with scallions). Notice the long, long line in the background. 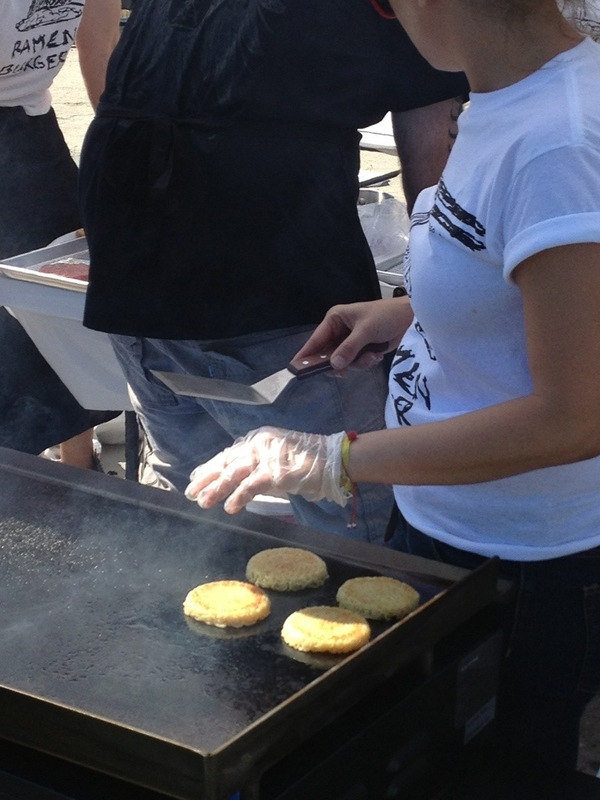 The ramen “buns” cooking on the grill. 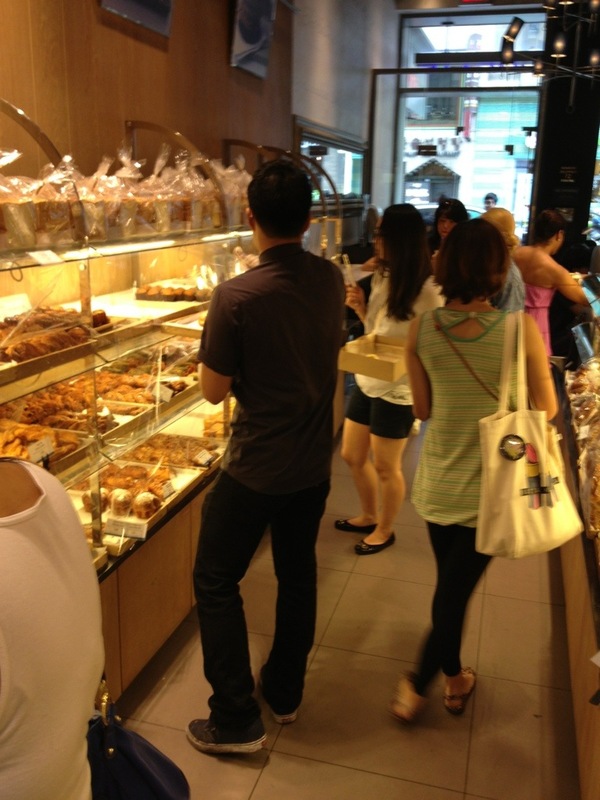 Paris Baguette in Korea Town is now making their own version of the cronut. They’re called croissant doughnuts and they are available daily at noon and 3PM. Only about 30 croissant doughnuts are made at each time and they sell out within 15 minutes. Just like all the other pastries on the wooden shelves, you have to wait for an employee to put the tray of croissant doughnuts on the shelf and then you place them in a paper box with tongs. I made the mistake of waiting by the counter to order. The batch I had had a little lemon zest on top. 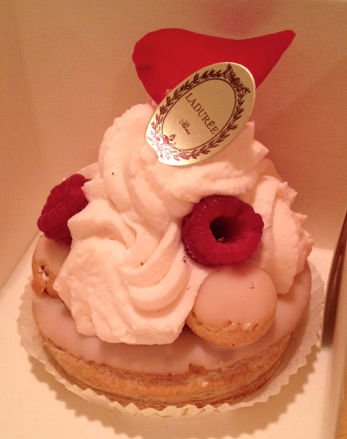 The lemon helped balance the richness of the fried dough and cream. 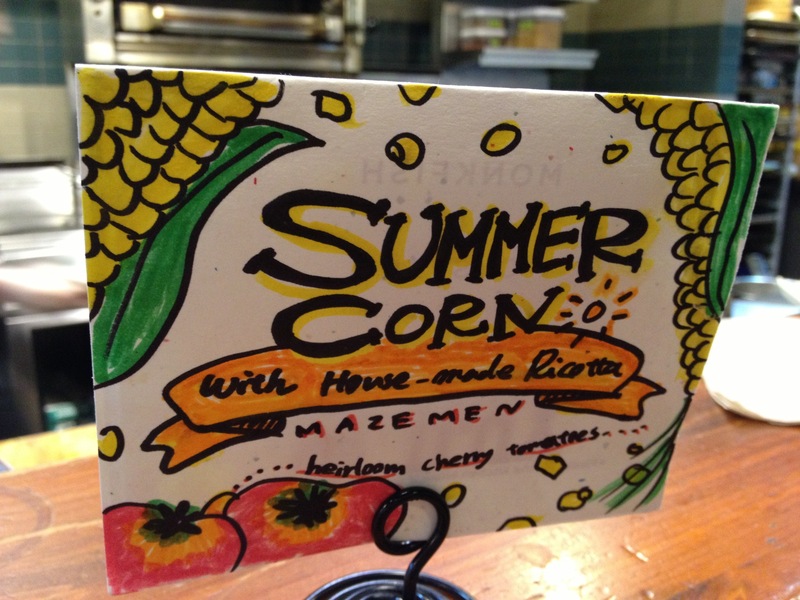 He’s serving a new seasonal mazemen at his ramen shop at Whole Foods Bowery now, summer corn! I just laughed out loud at Williams-Sonoma. 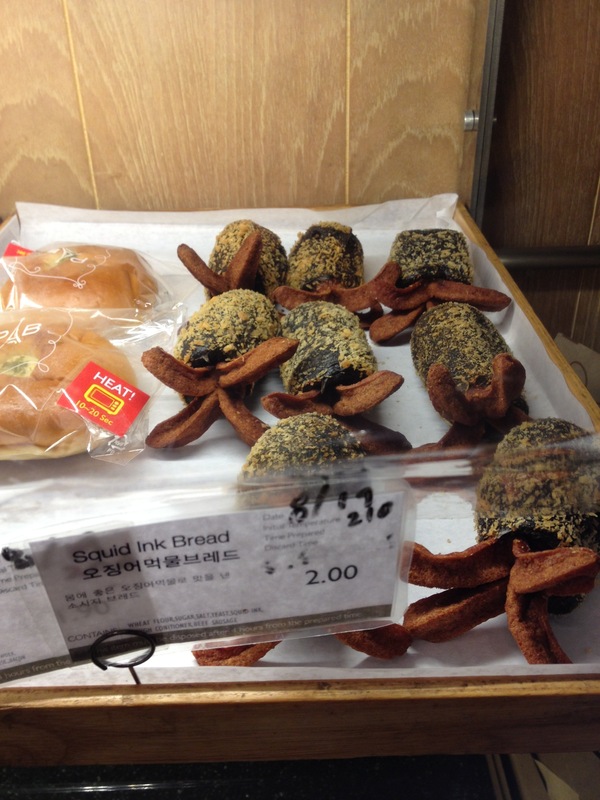 Paris Baguette on 32nd Street in K-Town is selling this squid ink bread. 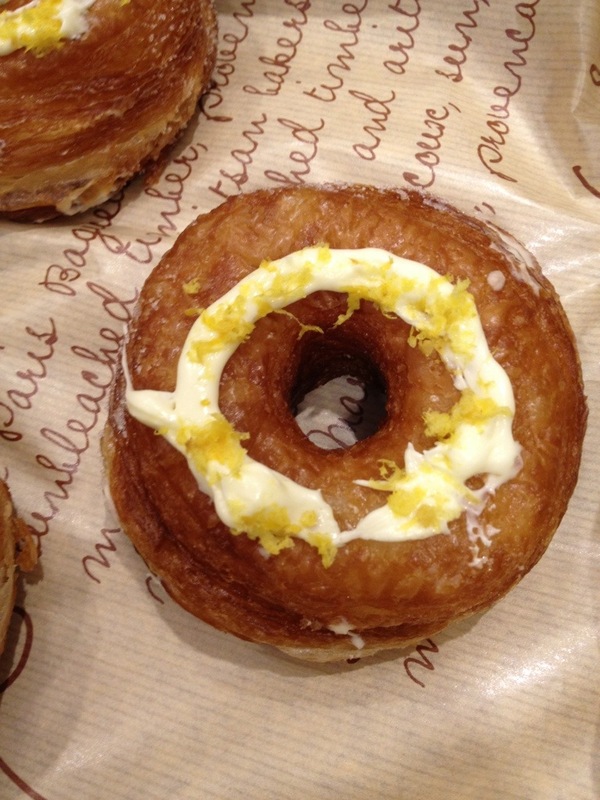 They also have a “croissant donut” similar to the Dominique Ansel’s cronut. 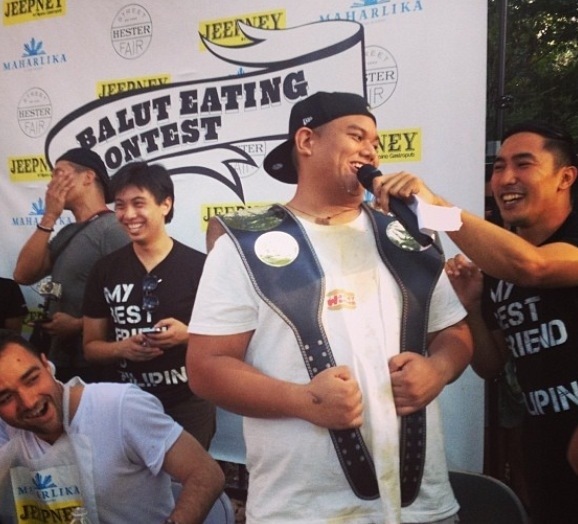 Wayne “Wayney Wonder” Algenio won again this year and set a new record by eating 27 balut in 5 minutes! Congratulations, Wayne! 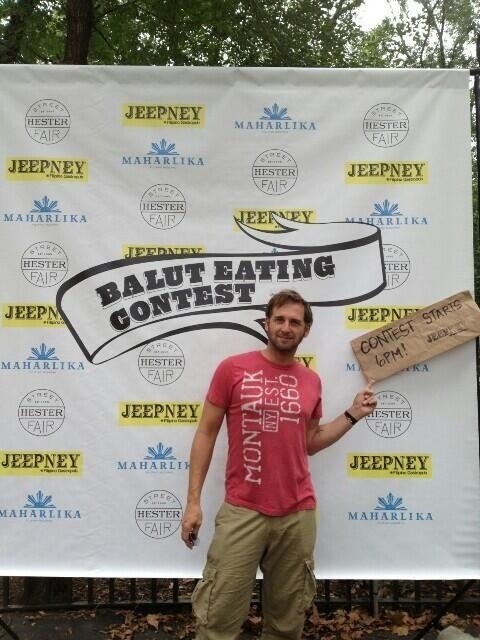 Actor Josh Lucas will be attending Maharlika and Jeepney’s balut eating contest today at the Hester Street Fair. 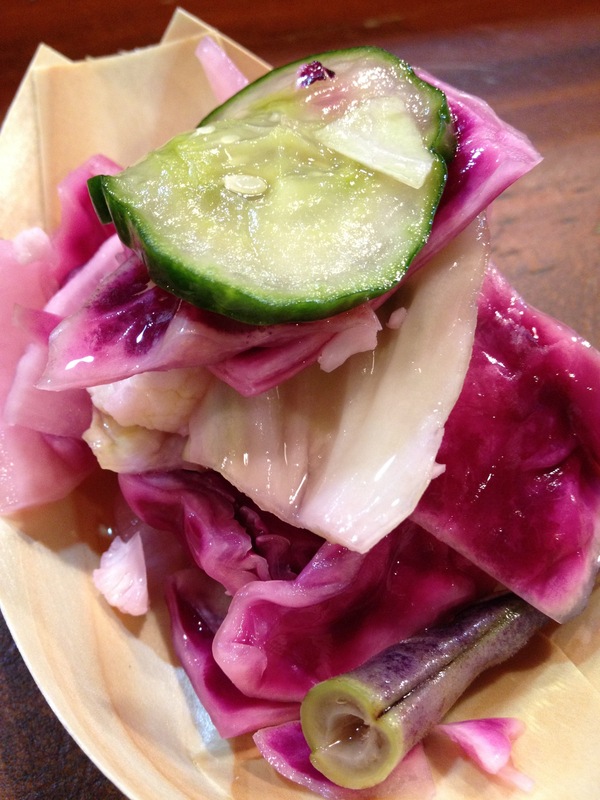 6:00 PM is the scheduled start time for the contest. What happened to J. Marquette?